With three articles on launch day, we can honestly say that Radeon VII’s launch has kept us busy. What’s been most exhausting, though, has been keeping track of details. I can’t remember the last time there was so much miscommunication surrounding a new GPU launch, and it seems like nothing is stopping now that the card is out the door. I’ve talked about the changing FP64 performance ad naseum, but for those interested in benchmarks, be sure to check out our double-precision performance article. Fast-forward to today, when AMD announced its newest Radeon Pro for Enterprise driver, 19.Q1. 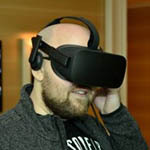 It was mentioned in the release notes that Radeon VII would soon be supported by the “One Driver” package, causing some confusion around the web. And… we get it, because there was no great reason the VII had to be tied into this driver release at all. It’s not that useful to call out a specific Radeon when all of them are meant to be supported. Radeon™ Pro Software for Enterprise 19.Q1 simplifies deployment and delivers the stability, simplicity, and security of Radeon™ Pro Software to knowledge workers using commercial applications and content creators using media and entertainment applications with AMD Radeon™ graphics cards (Radeon™ VII “One Driver” support coming soon). However, the workstation application certifications and optimizations available with AMD Radeon™ Pro Software for Enterprise when using Radeon™ Pro graphics cards are NOT available when using AMD Radeon™ graphics cards. 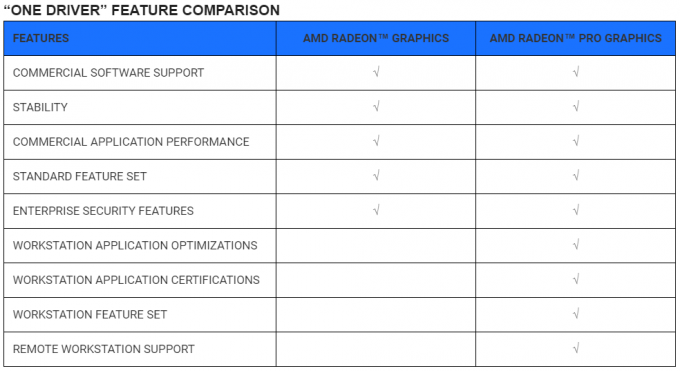 According to this, Radeon Pro optimizations are left to the cards coated in blue, meaning unfortunately, Radeon VII is not going to get augmented workstation performance. Could it happen next week? Would it surprise you? We mentioned in an article last week that the VII is kind of like NVIDIA’s TITAN, in that TITAN is a jack-of-all-trades, with the main features differentiator being that TITAN also gets blessed with (some) workstation optimizations. As with many workstation workloads, not all cards are built alike. However, chances are that you don’t even need the Pro optimizations to begin with. SolidWorks? You want Radeon Pro (or Quadro). Blender? You’d be fine with the gaming GPUs. 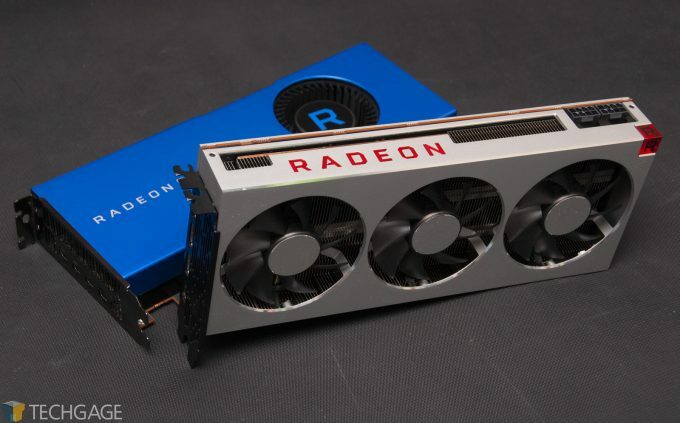 You can check through our recent Radeon VII workstation look to see how the card fares across a range of rendering, encoding, and viewport tests.